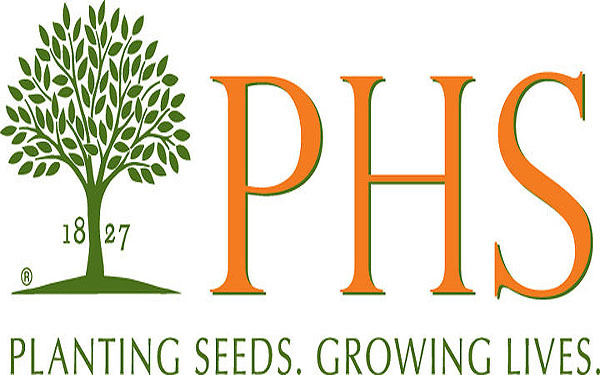 The Pennsylvania Horticultural Society (PHS) is a nonprofit membership organization founded in 1827 that offers programs, activities, workshops, and publications for gardeners of all levels and interests. An established leader in community greening, PHS works with volunteers, government agencies, institutions, businesses, organizations and other partners to plan, design, create, and maintain green spaces. Proceeds from the PHS Philadelphia Flower Show, as well as donations from foundations, corporations, government agencies, and individuals, support PHS programs and initiatives, including Plant One Million, a multi-state tree-planting campaign, and City Harvest, which supports community gardens that grow fresh produce for more than 1,000 families in need each week.